Bambu Table 4, by &'Costa, is imported from Italy. 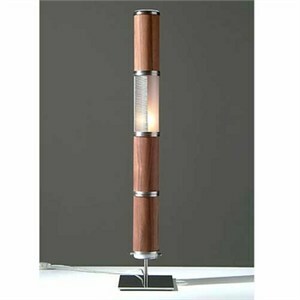 The light is diffused with stainless steel mesh and your choice of wenge or walnut wood. - Dimensions: 2.95" D X 31.5" H.
- Uses 1 X 40W max E12 (candelabra base) lamp.